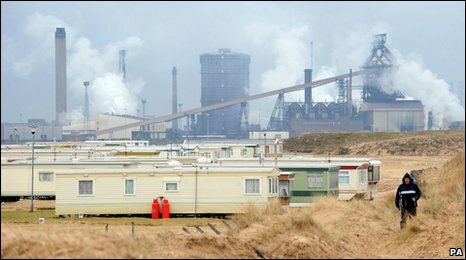 Thousands of steel workers are to be balloted for strike action in protest at the partial mothballing of Redcar's Corus plant. The GMB union confirmed the move as work gets under way to shut down the blast furnace at Teesside Cast Products (TCP), where 1,600 jobs will be lost. It has accused the government of going back on a promise to delay mothballing. The Community union also said it plans to ballot members for industrial action. Keith Hazlewood, national officer of the GMB, said: "The decision to mothball the plant suggests that Corus did not really want to keep it open or sell it to another steel company. "The decision is bad for Britain and for our manufacturing industry and our members will now be asked to respond." 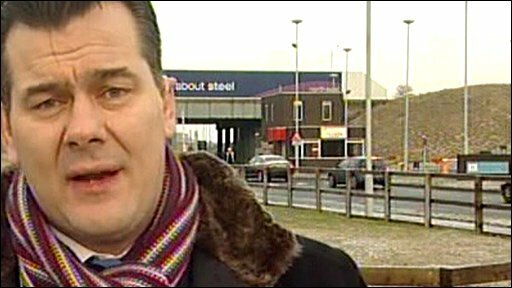 The union said Corus staff across the UK, including those at Port Talbot, Scunthorpe, Teesside and Rotherham, would be balloted. TCP has been under threat since last May, when an international consortium pulled out of a 10-year contract. The mothballing was confirmed earlier this week, despite hopes that a buyer could be found in the meantime. Some workers have accused the government of talking "platitudes" over the future of the plant. 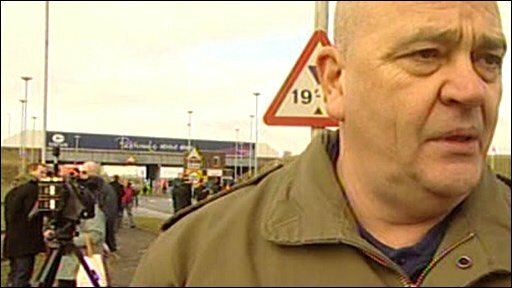 Alan Blackwood, 57, who has worked at Redcar for 42 years and is now facing voluntary retirement, said: "I am just gobsmacked. It just feels to me that Corus doesn't want Teesside to exist. "We are dead, gone, finished. There is absolutely no way it can be saved. I think I am more concerned about the company than the government is." Linda Robinson, 50, whose family have been working at the plant for three generations, said her brother had just finished his last shift and would never be going back. "They say mothballing, but really it's closure," she said. "It is catastrophic for the community. The future is bleak." The mothballing could take up to six months, meaning the job losses will be gradual, but there was a sense of finality among workers. Geoff Waterfield, multi-union chairman at TCP, said: "I think the mood today, as it's been for quite a while, is quite a sad mood really amongst everybody. "And today I think will be very emotional on the site, and very emotional in the region for the community - because it affects not just the workers but pretty much everybody in the surrounding area." The predicted knock-on effect has been described as "horrendous", with Redcar and Cleveland Council estimating up to 8,000 further jobs could be lost at local companies. Speaking on Thursday, Business Secretary Lord Mandelson maintained the plant will be protected by the company, with a view to re-opening once a buyer has been found. The shutting down of TCP's blast furnace will start on Friday, followed by the "blow down" process to use up the remaining raw materials. On Saturday, holes will be drilled in the furnace to take out residual metal - a procedure known as "tapping the salamander". Work to preserve the machinery will then begin, in the hope that it can be restarted at a future date. John Bolton, managing director of TCP, told the BBC: "It's a very sad day today. We've known about the potential of this happening since May. "I'm very proud of the people here because they've had to live with this hanging over them. "Everybody here has done everything they can to keep this plant going." Corus mothballing - how and why?